The much-awaited Ssangyong Tivoli compact SUV isn’t coming to India. That’s because Mahindra has just decided to rejig its strategy of using the Ssangyong brand here. Going forward, the automaker will stick to Mahindra branded vehicles for the Indian market. 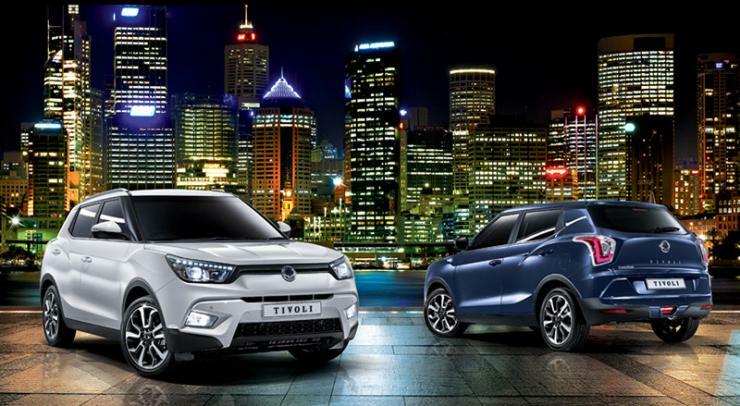 The Ssangyong brand will be used only for overseas market. Dr. Pawan Goenka, the executive director of Mahindra’s automotive division disclosed this in an interaction with the press. This means that the Tivoli, which was even showcased at the 2016 Auto Expo and spotted testing, won’t be commercially launched here. Instead, Mahindra will use the Tivoli’s X100 platform to spin out a compact SUV that will take on the likes of the Renault Duster and Hyundai Creta. It’s likely to be launched here by the end of 2017, about 15 months away from now. The new Mahindra SUV will use the 1.6 liter petrol and turbo diesel engines developed for the Tivoli, and will sit above the TUV300 and Nuvosport in terms of price and positioning. With Mahindra dumping the Ssangyong brand in India, the next-generation Rexton is another SUV that’ll not see the light of the day in this part of the world. All said, Mahindra could change its decision based on market developments.